May 22, 2013 – On Monday the U.S. Supreme Court decided it will hear the case in Binyomin Ginsberg vs. Northwest Airlines (Northwest, Inc. v. Ginsberg (12-462)). In this case Rabbi Ginsberg alleged the carrier kicked him out of their frequent flier program for complaining to many times about the carrier’s service. Northwest Airlines believes as of a result of Airline Deregulation Act 1978, airlines have a right to set their own policies under these matters. Rabbi Ginsberg is a professor at a university who travels extensively throughout the United States and abroad to give lectures, conduct seminars and workshops. Ginsberg and his wife had traveled almost exclusively on Northwest, logging approximately 75 flights with the airline each year. 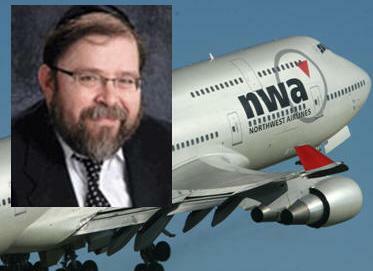 Rabbi Binyomin Ginsberg was an active member of “WorldPerks,” a frequent flier program offered by Northwest Airlines. Ginsberg began his WorldPerks membership in 1999, and by 2005 he had obtained Platinum Elite Status. Northwest revoked Ginsberg’s WorldPerks membership on June 27, 2008. Ginsberg attempted several times to clarify the reasons behind Northwest’s decision to revoke his membership. Ginsberg alleges that Northwest revoked his membership arbitrarily because he complained too frequently about the services. Northwest sent Ginsberg an email on November 20, 2008, detailing the basis for Northwest’s decision to revoke Ginsberg’s membership. Ginsberg initially filed suit on January 8, 2009, he asserted four causes of action: (1) breach of contract; (2) breach of the implied covenant of good faith and fair dealing; (3) negligent misrepresentation; and (4) intentional misrepresentation. Northwest moved to dismiss the complaint pursuant to Federal Rules of Civil Procedure (FRCP) 12(b)(6), (rule 12(b)(6) motion, which replaced the common law demurrer, is how lawsuits with insufficient legal theories underlying their cause of action are dismissed from court) arguing that the Airline Deregulation Act (ADA) preempted the claims. The Airline Deregulation Act is a 1978 United States federal law intended to remove government control over fares, routes and market entry (of new airlines) from commercial aviation. The Civil Aeronautics Board's powers of regulation were phased out, eventually allowing passengers to be exposed to market forces in the airline industry. The Act, however, did not remove or diminish the regulatory powers of the Federal Aviation Administration (FAA) over all aspects of air safety. The district court dismissed Ginsberg’s claims for breach of the implied covenant of good faith and fair dealing, negligent misrepresentation, and intentional misrepresentation, concluding that the ADA preempted them because they relate to airline prices and services. The district court also dismissed the general breach of contract claim, finding that the claim was not preempted, but that Ginsberg had failed to allege facts sufficient to show a material breach. On June 9, 2011, Ginsberg filed an appeal with Court Of Appeals for the Ninth Circuit. On August 5, 2011, the court ruled in favor of Ginsberg. Northwest and its parent corporation, Delta Air Lines, seek review, contending the lower court’s decision is “in conflict with the decisions of other Circuit Court rulings and that the Supreme Court should reverse the appeals court decision. On May 20, 2013, the U.S. Supreme Court agreed to her the case. The case, Northwest, Inc. v. Ginsberg (12-462) will make its way to the Supreme Court in the fall term, which begins this October. The court will decide how much freedom airlines have to set their own policies under the Airline Deregulation Act of 1978. Yves Rossy To Fly A Body Jet Propelled Wing At EAA Airventure Oshkosh 2013!